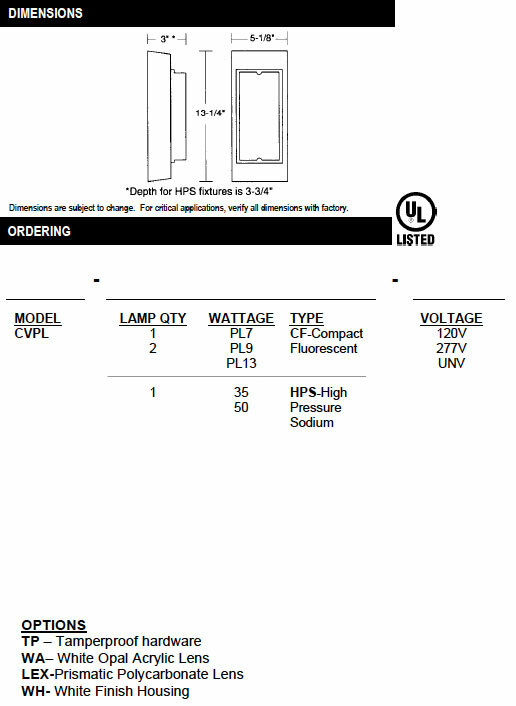 The CVPL Decorative Luminaire is available for energy-efficient PL 1 and 2 lamp and low wattage HPS sources. 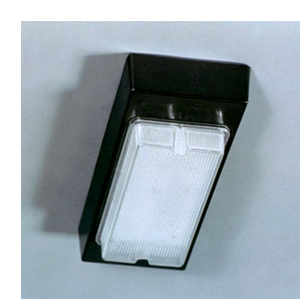 This unit is ideal for hotels, motels, walkways, entrances, garages, vanities, stairways, and anywhere low wattage, high illumination is desired. Gasketed for dust and moisture resistance. Optional photocell for dusk to dawn operation. One piece die-cast aluminum housing. Clear prismatic acrylic is standard. Optional white acrylic and clear prismatic polycarbonate. All exterior parts finished in architectural bronze stage polyester powder coat. Optional white finish. All reflecting surfaces are finished with baked white enamel.